This music industry directory has over 300 Managers, 85 Music Attorneys and 85 Booking Agents that represent both new and established talent specializing in Pop, Urban, Dance, Hip-Hop, Rap, Country, Rock, R&B, Gospel, Christian Music, and Jazz. 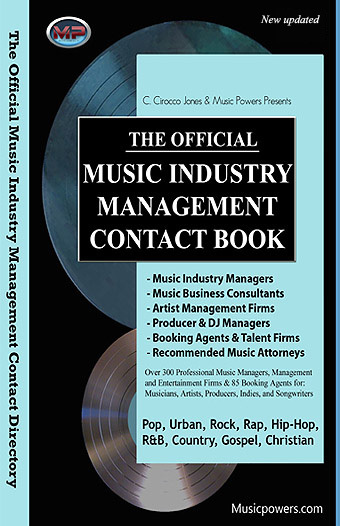 Many of these music business contacts cannot be found in any other book, Web Search, website or music industry directory. "By far the best collection of music industry contacts available"
take their talent to the next level." investment that could pay off many thousand-fold financially..."